"Thank you for contacting the Bureau of Meteorology. The 24-hour rainfall maps are updated after 9am each day. If you view them at 8am, for example, then they display the rainfall for the 24-hour period until 9am the day before. The rainfall since 9am maps are updated hourly. That explains the discrepancy, but doesn't explain why the past 24 hr rain totals can be up to 24 hours out of date. 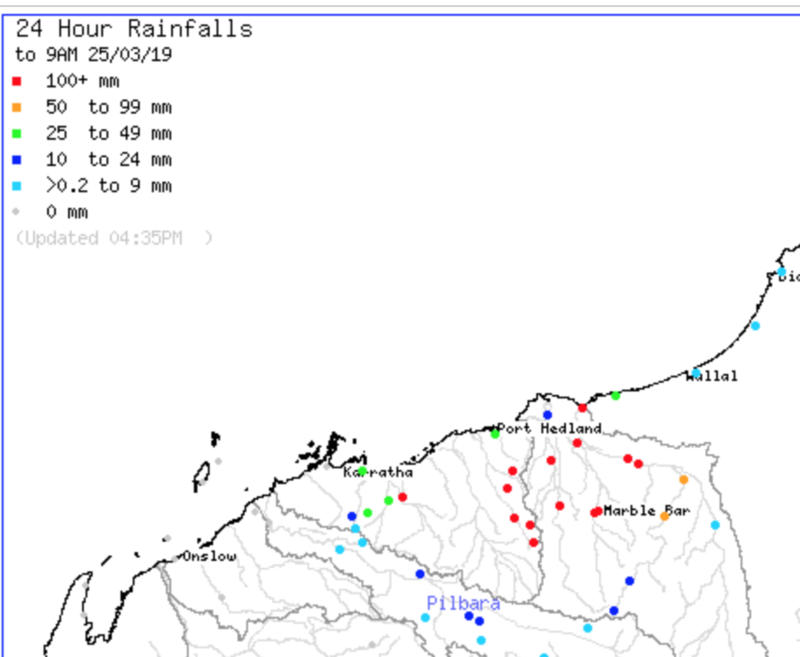 Nor does it explain why the 24 hr rainfall graphic says "updated at 04.25pm".